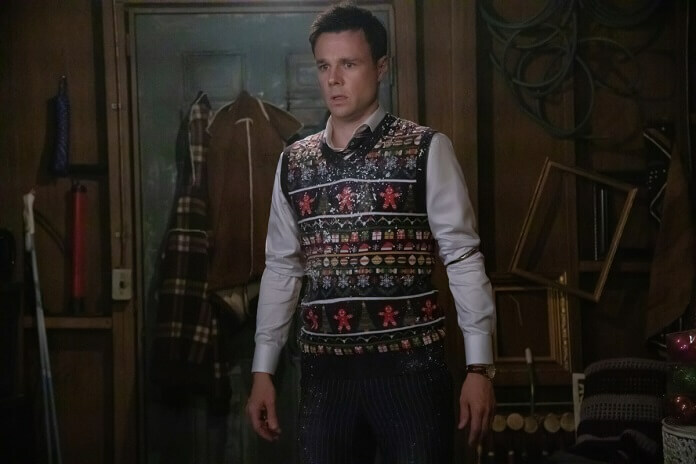 The CW’s Charmed offers up a holiday-themed mid-season finale with “Jingle Hell” airing on December 9, 2018. Season one episode nine was directed by Michael Lange from a script by Jessica O’Toole and Amy Rardin. The cast of Charmed season one is led by Melonie Diaz as Mel Vega, Sarah Jeffery as Maggie Vera, and Madeleine Mantock as Macy Vaughn. The cast also includes Rupert Evans as Harry Greenwood, Ser’Darius Blaine as Galvin Burdette, Charlie Gillespie as Brian, Nick Hargrove as Parker, and Ellen Tamaki as Niko Hamada. Jessica O’Toole, Amy Rardin, Jennie Snyder Urman, Ben Silverman, Brad Silberling, and Carter Covington executive produce. 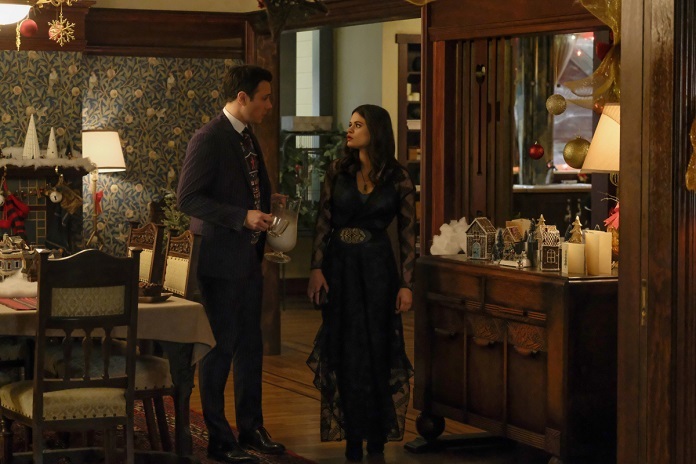 The “Jingle Hell” Plot: HAPPY HOLIDAYS — Mel (Melonie Diaz) turns to Harry (Rupert Evans) for guidance after learning information about the magical world that leaves her questioning everything she knows. Galvin (Ser’Darius Blain) shows up to see Macy (Madeleine Mantock) and she is determined to not let fate get in the way of their potential relationship. Meanwhile, Maggie (Sarah Jeffery) tries to keep her mom’s Christmas traditions going and is excited for Parker (Nick Hargrove) to be a part of it. “Stronger together.” That’s what Marisoltells her daughters, firebrand social justice warrior Melanie “Mel” Vera, and her sister, fun-loving Maggie, about their family. Mel is a graduate student in the women’s studies department her mother heads at Hilltowne University; Maggie is a freshman considering sorority rush (to Mel’s amused dismay) and going “on” again with her on-again/off-again boyfriend, Brian. But then, a shocking tragedy shatters their world and threatens their sibling bond: Marisol dies in a horrifying accident. Or was it? 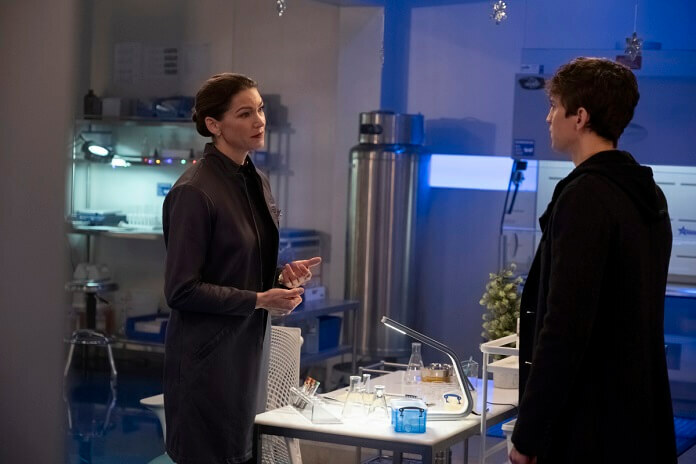 Three months later, we find Mel unable to accept the official explanation of their mother’s death, while Maggie accuses her of being morbidly obsessed. And then, another huge shock shows up at their front door: they have an older sister – brilliant geneticist Macy (Madeleine Mantock), whom their mother kept a secret all these years! Macy is new in town and doesn’t know a soul (except for Galvin), the cute fellow scientist who’s been showing her around). 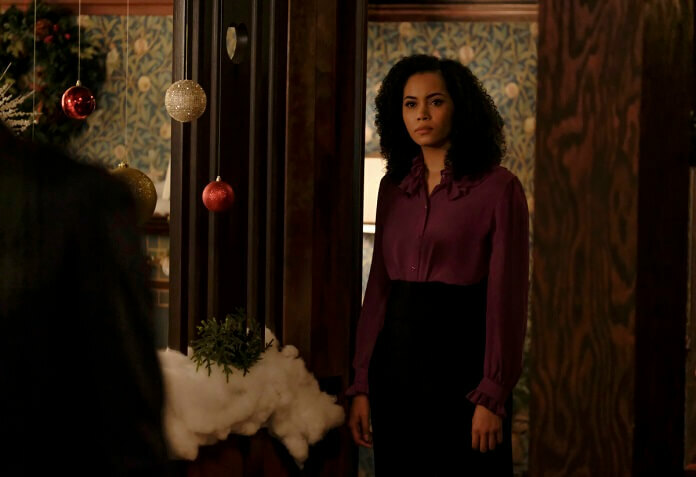 Macy is eager to connect with Mel and Maggie, but Mel can’t handle another shock, and shuts her out. With the emotions of all three sisters running high, each of the girls suddenly exhibit impossible new abilities: Mel can freeze time, Maggie starts hearing others’ thoughts and Macy has telekinetic powers. But don’t worry, there’s a perfectly reasonable explanation…or so says Harry Greenwood – who as far as they know is the officious new chair of the women’s studies department – when he gathers the three sisters together to reveal they’re actually powerful witches, as was their mother. And he’s not really a professor, he’s their “Whitelighter,” a witch’s advisor and guide! Not only that, but Mel was right: their mother’s death was no accident – she was murdered by unknown dark forces. It’s a lot to take in, but ultimately the sisters accept their new destiny as The Charmed Ones…and their new duty to protect humankind from the demons that walk among us…one of whom killed their mother. With the Power of Three, they are stronger together… even if they have no idea what they’re really up against.